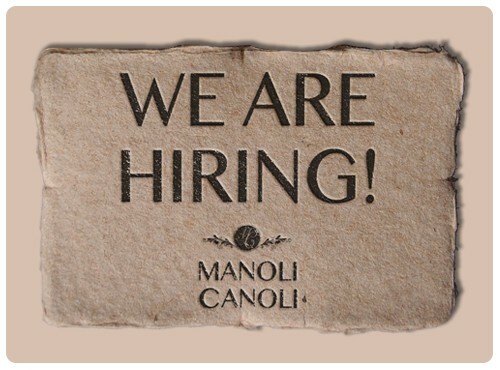 We are looking for an Operations Manager for MANOLI CANOLI Restaurant in DC. • Energetic, positive attitude and generally pleasant with our customers. If you’re passionate about making a difference and would like to join MANOLI CANOLI team, just send us an application! Please send your CV to jobs[at]manolicanoli.com with the subject indicating "Operations Manager".